Tenerife is filled with endless opportunities for fun and adventure. An abundance of beaches from rocky coasts to fine sand allow for all types of water activities. At the center of the island, the rugged landscape leads to gorgeous views of the mountains that can be attained through a vehicle or on foot. Home to a number of amusement parks and animal centers, families with kids that have varied age ranges will find it easy to keep themselves active and entertained with endless things to do. Tenerife has some of the best dive sites in Europe. Despite its warm climate and sunny disposition, the cold water of the Atlantic Ocean is home to diverse ocean life. A variety of fish, marine species and water-locked mammals can be found around Tenerife, mostly on the Southern Coast. 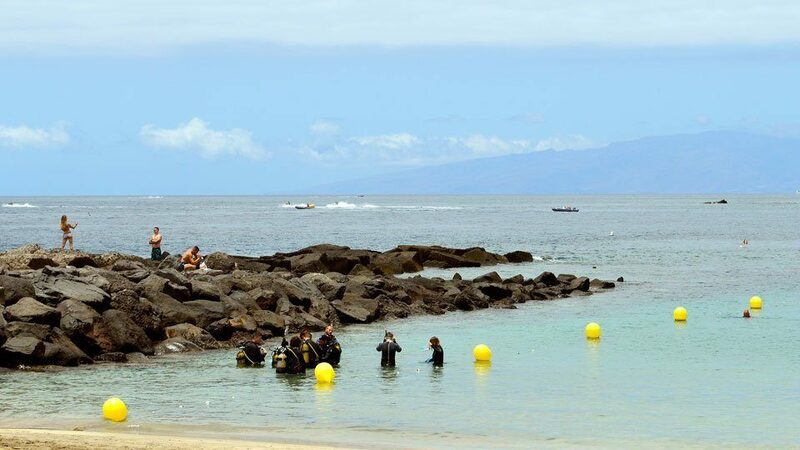 Numerous diving schools will teach and guide all levels of divers around the underwater topography, while even more boat rentals and cruises will navigate through the habitats of whales and dolphins for some memorable sightings. Beaches at the provinces of El Puertito and Alcala attract tourists not just for their calm waters but also because many are able to swim and interact with the sea turtles that frequent these coves. Tenerife is also extremely popular with water sports enthusiasts. A variety of beaches allows for an assortment of water-based activities. The coastal municipality of Adeje is filled with beaches that attract surfers, parasailers, and the like. On the opposite side, coves, especially in the laidback town of El Medano, have ideal conditions for kiteboarding and windsurfing. And at the northernmost tip of the island is Almaciga, a remote surf spot where surfers have the waves all to themselves. However, around Tenerife, there is no denying that every sand-bottomed beach will have a slew of water activities for tourists, from banana boats to jet skis. Nature-lovers and adventure-seekers rejoice! Tenerife is packed with forest trails and challenging hikes. Central Tenerife is home to Mount Teide, the tallest volcano in Europe. The surrounding area is considered a national park and includes a variety of trails to get to the summit. Apart from the arresting views below, the scenery above of the night sky is just as breathtaking. 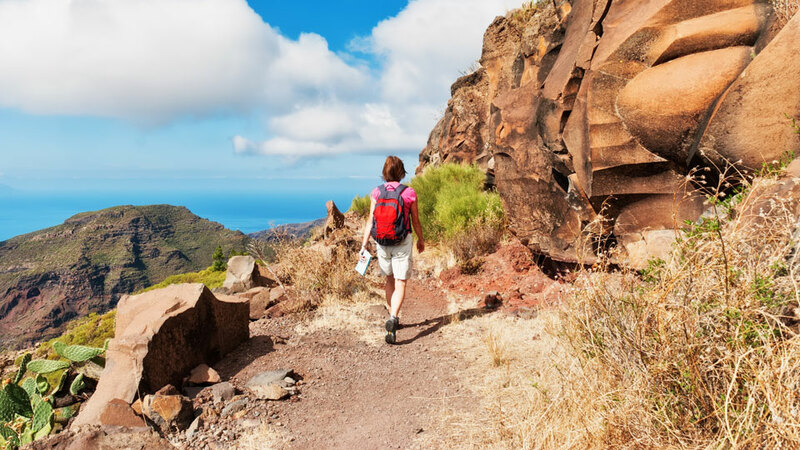 While the Teide National Park is the most popular among tourists, hiking trails are also profuse at the Anaga Forest and at the Las Canadas Park further up north. Cycling tours are also available once traveling on foot gets monotonous. At Santa Cruz de Tenerife alone, you’ll find multiple museums to satisfy anyone’s curiosity: from the history of the Canaries at the Museo de la Naturaleza y el Hombre to the latest contemporary art exhibit at the Tenerife Espacio de las Artes. Kids and kids at heart should head to Icod de Los Vinos for the latest craze, ARTlandya, a doll museum atop a hill with gorgeous views of the island. If you have a penchant for rustic towns, the picturesque coastal town of Garachico and the university town of La Laguna provides a peek into Canarian past. Home to Siam Park, considered as Europe’s best water park, Tenerife does not run out of experiences to offer. Giant slides and a near-perfect wave pool you can surf are just among the few attractions here. Just nearby, another water park, Aqualand, has dolphin and whale shows. Loro Parque at Puerto de la Cruz is a zoo filled with all types of animals and the showcase of their talents. At Arona, just 5 minutes away from Los Cristianos, Jungle Park Las Aguilas is a zoological and botanical park that the whole family will be sure to enjoy.